Dead End of MacMiller and Ariana Relationship! The ex-couple met on the SNL in 2016. In an interview, she revealed that “We never exchanged numbers, we weren’t even friends for the longest time. I had the biggest crush in the world on him for a long time, like forever. My friends used to make fun of me for it.” That’s something surprising! But they called off the marriage due to Mac Miller’s death. Pete and Ariana parted their ways away! The break up of Ariana and Pete was excrucitating for the fans. 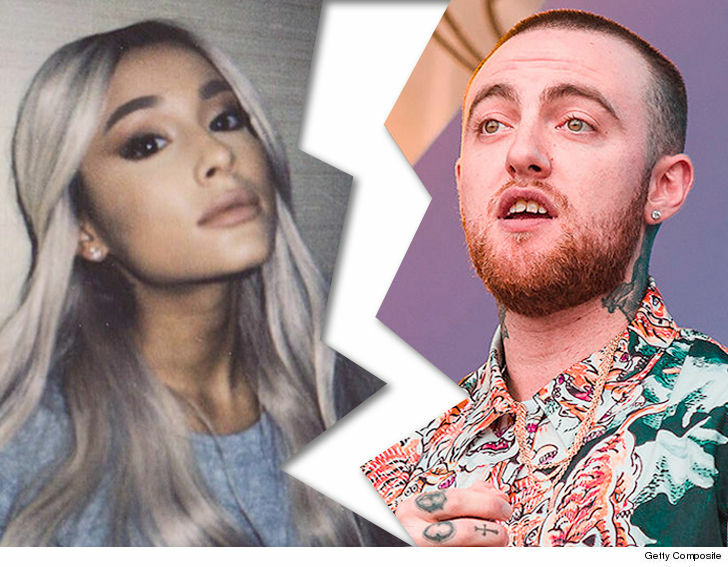 But one thing everyone knew that she is not over the Mac Miller death.“Given the events of the past couple of years, Ariana is going to take some much-needed time to heal and mend,” her rep said to sources. Pete accused of something deadly! We know that Ariana and MacMiller relationship was a most lovable relationship. But after his death, she obviously misses her “best friend”. Now after the breakup of the comedian and the singer, Pete is alleged to send intimate pics to MacMiller before his death! It raged the whole Internet. But is it true? The disgusted strangers are calling to kill himself amid the unsubstantiated claims circulating online. But is it true or some rumors! As if the ex-couple looks over it, they will get more heart-broken! Thank God it’s a rumor! It is clearly seen that the rumors are born from the TMZ website. But the TMZ wrote no such stories! Well, that’s sad! How can some spread such rumors? So, it’s clear that the whole thing of nothing more than the Internet hoax! ← Jersey Shore Couple Quits The Show For Couple Therapy?